If you are studying Japanese, even if you are doing so for fun, you should do the Japanese Language Proficiency Test (or the JLPTs). Many people learning Japanese have heard of the JLPTs but don’t know what they are. They are 5 Japanese language exams that are held twice a year in July and December across the world. They test learners Japanese skills for vocabulary, grammar, listening and reading (no speaking or writing). Tests are multiple choice. JLPT N5 is the lowest and N1 is the highest. Beginner levels test your hiragana/katakana reading skills and higher levels test kanji. But all of them test vocabulary, grammar, reading and listening. It is one of the major Japanese exams. Most businesses the work with Japanese want N1-N2 level employees (if you are interested in working in Japan). Why should you take the JLPT? Well first of all I took them because they were a great opportunity to challenge myself. I had goals to work towards which pushed me and gave me motivation to learn. Even if you are studying for fun (which I was at first) it’s good to set yourself a goal, and these exams are a great chance to do so. Studying for and taking the exam allows you to evaluate your own Japanese abilities; including listening and reading, vocabulary, kanji and grammar. You can work on all these skills and it’ll help reveal your weakest points to work harder on (for me it’s grammar!). How should I study for the JLPT? There’s a lot to learn for each level, but it’s possible to study for and pass the levels during the 6 months between each exam! For all levels I strongly recommend investing in classes as well as daily studying. Investing in a good class or one-to-one lesson can greatly improve your Japanese. But regular study is important too, and the only way to do that is with self-study. How you self-study is important too. Listening/watching anime is well and good, but it won’t stick unless you combine it with other study methods. You can drill, make/use flashcards, role-play conversations etc. Role-play and discussions need more than one person, which is why lessons are so useful. Where to start? Once you have your hiragana and katakana down it’s always good to start with a combination of vocabulary and kanji. You can find a list of all the vocabulary and grammar for the JLPT N5 at Nihongo Ichiban. Although lists are useful, they’re not great in terms of retaining the information. Going through lists can be really boring. You can find other resources online with apps and combining them together makes it more interesting to learn. 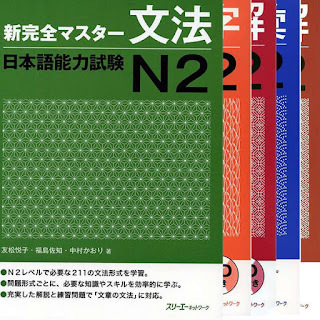 As for text books for N4 and N5 I’ve found that you don’t need any specific JLPT books. Most beginner Japanese text books and lessons in classes cover everything you need to know. Using a combination of beginner books with online resources and practice exams should get you in great shape for the exam. It’s still important to practice the exam itself regularly (even if you feel like you haven’t learnt everything). Which you can find some of online such as here on JLPT Bootcamp for N5 and here for N4. Update: JLPT N5 study guide and a JLPT N4 study guide. Includes test break down, resources and study methods. 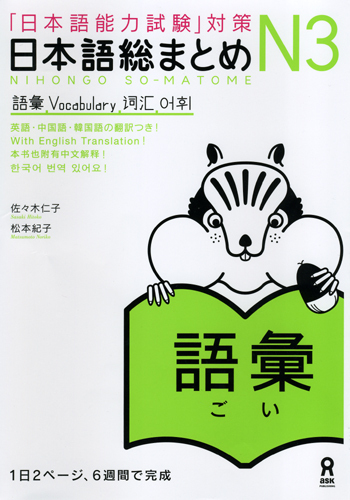 Nihongo So-matome for N3 are a great series of books, especially for self learning! 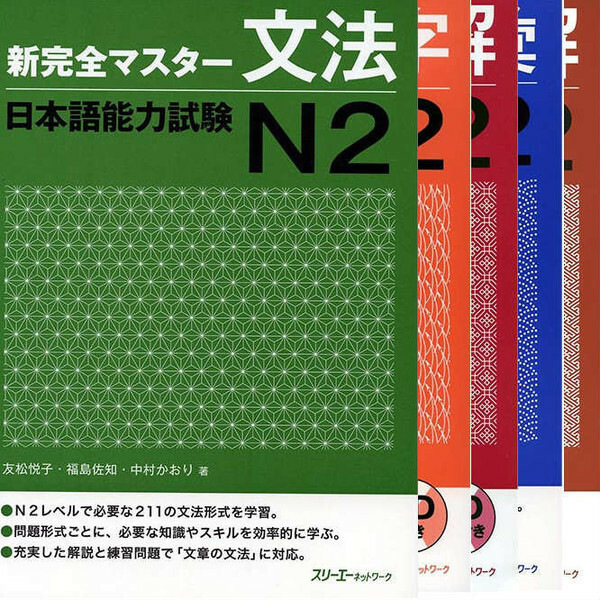 There are only So-matome books for N3-N1 which is a shame, but they are a great resource for the N3 which didn’t exist until recently. The series comes with books for all aspects of the exam: vocabulary, grammar, kanji, reading comprehension, and listening. What’s great about these books is that they are broken down into easy to digest daily lessons that go over 6 weeks (8 weeks for N2-N1). The 7th day of each week a practice test similar to the format of the test. Making the information easy to digest and easy to remember (although review is still important). This series forces you to study every day, which is great. But because of the large number of books it means you’ll be studying for about 2 hours a day, and then an extra hour a day for reviews. You will probably want to give yourself a year to learn N2 and then another year for N1, and will defiantly need regular classes (if you can at least twice a week for a whole year). These are the advanced levels and without daily use and study the exams will be incredibly difficult. 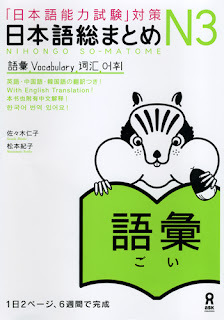 The Nihongo So-matome series are useful for a basis but not enough to pass the exams on their own. I found they contain a lot of information but not everything that might turn up in the exams. A great set of books that really up the level are the New Kanzen Master series. They covers kanji, vocabulary, grammar, reading and listening with lots of good examples and explanations that are more accurate to the difficulty of these higher levels. I think the N1 and N2 exams are more difficult because at this level the majority of students are Chinese, which means a large number of students with a background in kanji, making the exams much easier for them compared to a western non-kanji background. (I felt my suspicious were confirmed after the exam explained a katana word on N2 using kanji). As I mentioned combining different types of learning along with lessons and self teaching keeps the study interesting and helps retain the information. Doing regular practice exams also helps get you used to the exam and exposes you to new vocabulary and kanji that might not have appeared in your studies. (Text books will cover most of what you need but they sometimes throw in random words). It really helps to make a schedule or study plan for your studies before you start. List all the sections you need to cover and how long it will take to do each one. Try and stick to it as best you can but don’t be surprised if it doesn’t work out the way you planned. As long as you start as soon as possible rather than a few months (or a week) before the exam you’ll be fine. JLPT Bootcamp has some good advice on this. He suggests (at least for the higher levels) spending the first 2 months working on listening, vocabulary and grammar. The next 2 months doing reading (while reviewing previous lessons). And the last month before the exam reviewing everything and not learning anything new. It’s also important to review what you’ve learnt regularly to retain the information better (as you can see from this chart I got from Japanese Master). I also recommend not writing in any books you use so you can reuse them for review later (write notes and answers to exercises in a note book instead). If you have any questions please do ask, or tips of your own for studying for the JLPT please do say! Good Luck everyone! Edit 6/1/14 – What’s the right level for you? Are you ready? JLPT Bootcamp has a great article on looking at your own ability to pass the JLPTs. As well as how many study hours (roughly) it will take you to pass the JLPTs.